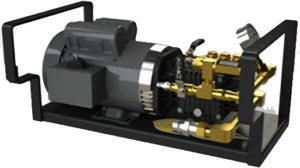 Water and Oil won’t mix, but Water, Glue and Fiber can… with our high quality pumps! This is what our liquid moving pumps offer; low maintenance and a precisely controlled spray to help you get the job done right. With our experience being on the cutting edge of wall spray and commercial (glue) spray, we have learned a thing or two… one of which is offering the correct pump form the correct application. Not only do our pumps perform optimally, but we make sure your investment is protected. Our pumps feature bases with a convenient carrying handle for ease of moving. This design offers a protective cage to reduce the chances of pump damage during shipping, and traveling to, from, and on the job-site. Different Applications: require a range of pressure and liquid volume applied in a smooth consistent manner. Wall Spray = higher pressure/lower volume. Commercial Spray (w/ Glue) = lower pressure/higher volume. Types of Liquid: liquids (water, high viscosity, abrasive glues) require different types of pumps. Generally speaking…diaphragm pumps work best for both glue and water while plunger pumps work best with only water requiring high pressure. 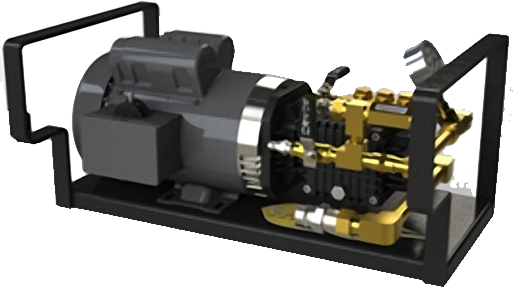 Direct-Drive: pump and motor assemblies require less maintenance. Our hose kits include pre-assembled quick-connect or turn-on end fittings for quick set-up. Non-collapsible intake line with in-line filter, by-pass hose, and 100ft. to 166 ft. heavy duty pressure hose rated for pump at maximum pressure. Whether you’re supply is from a water tank, glue barrel, or a garden hose: we can get you connected to the correct hose kit for your needs. 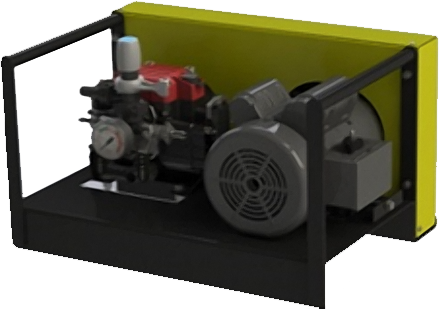 The M-03 is a self-priming, triple diaphragm pump able to pump a variety of low to high viscosity liquids while operating when others can’t. It features a seal-less design and horizontal check valves which give this pump the ability to run dry without damage, tolerate harsh jobsite conditions, and minimize maintenance. Max Flow Rate: 3.0 g.p.m. The General is a self-priming, triple plunger pump featuring a nickel-plated forged brass manifold and inlet/outlet valve plugs, ceramic plungers, and ‘high-tech’ seals, retainers, and rings which give it run-dry capability to handle those strenuous duty cycles. Out of the box, it is primed for all high-pressure ‘water’ applications. Max Flow Rate: 2.1 g.p.m. 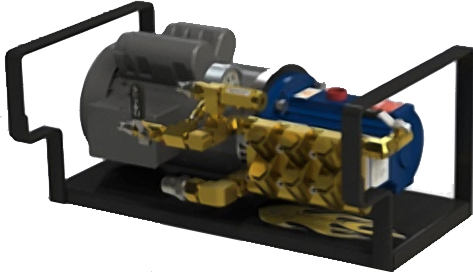 The MP-20 is a self-priming, twin semi-hydraulic diaphragm pump with run-dry capability, featuring anodized aluminum heads for less leak points and high durability. A favorite among the professional commercial spray contractors, it’s desired for its ability to move a higher volume of glue and easy clean-up. Max Flow Rate: 5.9 g.p.m. 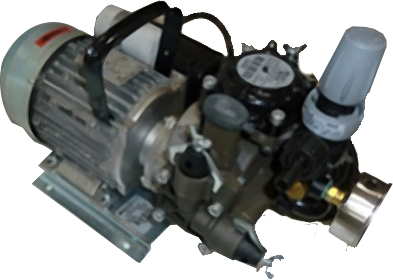 The MC-20 is a self-priming, twin semi-hydraulic diaphragm pump with run-dry capability, and is popular with start-up contractors due to its lower cost. The unit, with its convenient carrying handle, is very portable and provides great versatility for use with an internal wetting system (IWS), water, and glue spray applications at lower pressures. Max Flow Rate: 6.0 g.p.m.